5 Little Lies EVERY Girl Has Heard From Her Boyfriend! We love our boyfriends! They are always sweet to us, but sometimes they say a few things that annoy us senseless! Maybe because we put them in situations where they can’t speak the truth because it’ll make us sad - and that’s really sweet. But hey, they may be our boyfriends, but they are also men, and, well, men will ALWAYS be men. So some of things they say to use are not just because they’re being “considerate” but also because they’re basically saying the first excuse that comes to their mind! 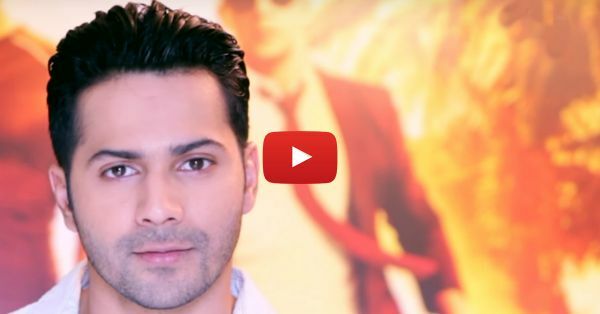 Most guys hate to admit that they do lie to us about certain things, but Varun Dhawan’s speaking the truth to us today. Yes! Even though we somewhere knew guys do say these things when they don’t really mean it, now we got proof. Watch this video and show it your guy. You just can’t miss it! PLUS: Subscribe to POPxo on YouTube for original videos + our favourite videos from around the web! MUST-READ: One Month vs One Year: This Is Every Relationship EVER! MUST-READ: Things Guys Should NEVER Say To Their Girlfriends!